The Lady Gators have done it. 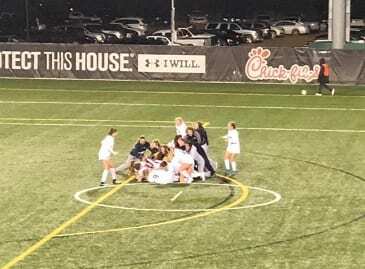 The Perry Hall High School girls soccer team defeated Walt Whitman on Friday night to win their first state championship. Perry Hall notched an exciting 4-2 win over Whitman at Loyola Maryland’s Ridley Athletic Complex. This was their sixth trip to the state championship game, and this time the Lady Gators finally brought it home. Perry Hall finished their season with an impressive 17-3 record, and reached the title game via four playoff shutouts.